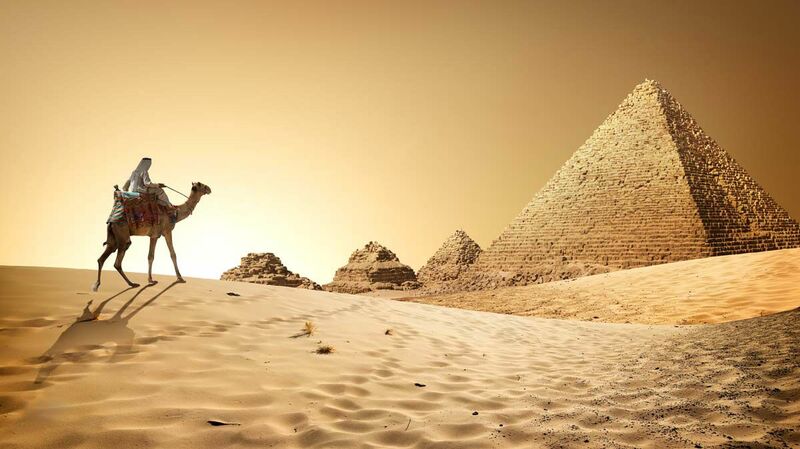 Day 1: Arrival in Egypt • The adventure begins in Frankfurt where board our flight to Cairo. Your tour representative will be there to welcome you and assist with transportation to the hotel and check-in at the Hotel Helnan Dreamland. 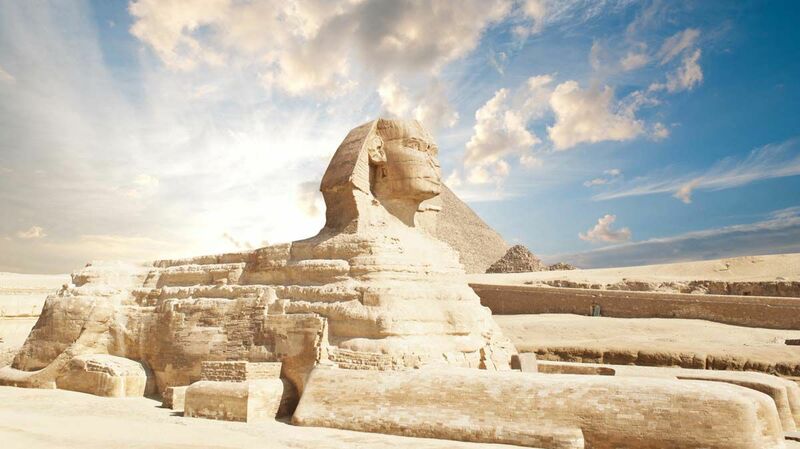 Day 2: Karnak & Luxor Temples • Today, we will visit the world-famous sites of Memphis, Sakkara and the Pyramids of Giza. Included meals: breakfast and lunch with overnight accommodations provided at the Hotel Helnan Dreamland. Day 3: Karnak & Luxor Temples • After breakfast and check out we depart Cairo, by air for, on a brief flight (included) for a sightseeing visit to Luxor. We visit the monumental temple complexes of Karnak and Luxor which rank among the world’s greatest ancient sites. There are four main temples in the complex with the Precinct of Amun-Re the largest of the sites. In ancient Egyptian times, people came here to worship Amun, Mut, and Khons. 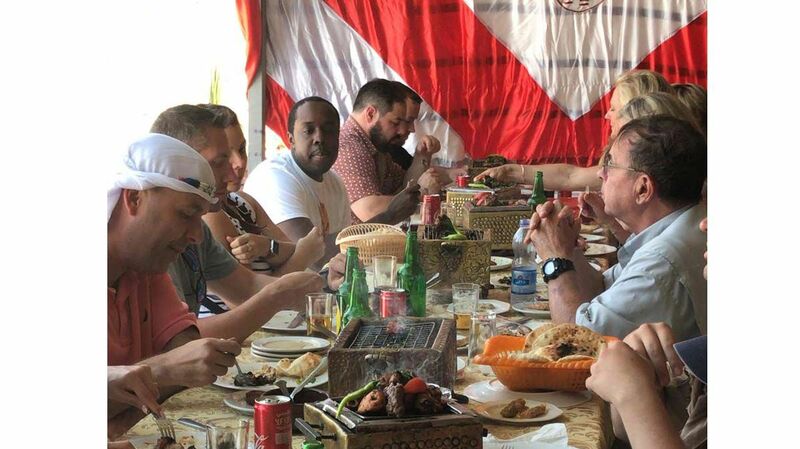 Included meals: breakfast, lunch and dinner with overnight accommodations provided aboard the Nile cruise ship. Day 4: Thebes, Valley of The Kings, Tomb Of Hatshepsut & Collosi of Memnon • The first highlight of the Nile river cruise is The Valley of the Kings, which was constructed for the kings and privileged nobles of the New Kingdom, including the legendary Tutankhamun. We will visit some of the tombs before heading to Thebes and continuing on to the Colossi of Mamnon and the Tomb of Hatshepsut (Deir el-Bahari). Later in the afternoon we set sail to Edfu. 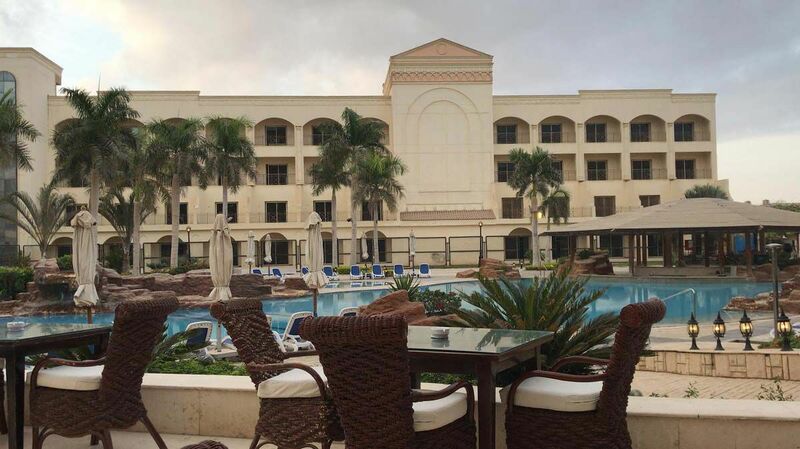 Included meals: breakfast, lunch and dinner with overnight accommodations provided aboard the Nile cruise ship. Day 5: Edfu, Kom Ombo & Aswan • Today’s excursions will take you to Kom Ombo, a stop along the way in Edfu, to marvel at the best preserved Temple in Egypt, dedicated to the falcon head god Horus. The temple in Kom Ombo differs from other temples because of its double entrance, designed to pay homage to two divinities, Haroeris and Sobek, god of fertility and creator of the world. This is how the temple came to be known as both "House of the Crocodile" and "Castle of the Falcon". 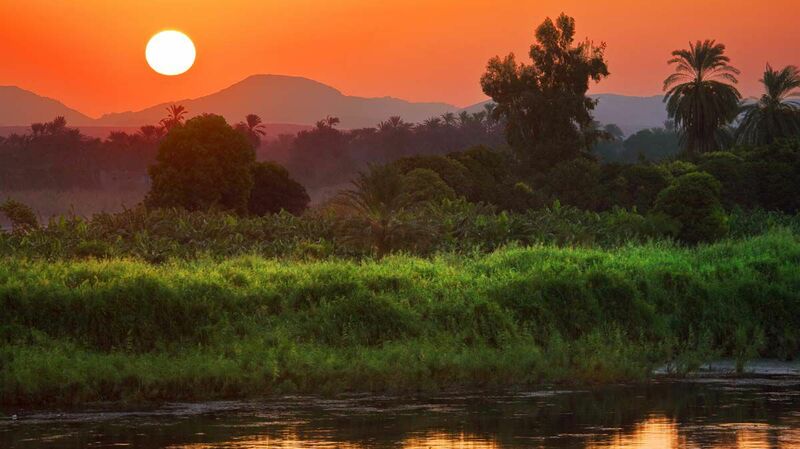 Afterwards we continue by river to Aswan. Included meals: breakfast, lunch and dinner with overnight accommodations provided aboard the Nile cruise ship. Day 6: Abu Simbel (Optional) • Optional visit to the Abu Simbel with the Temple Ramses und Nefertari. 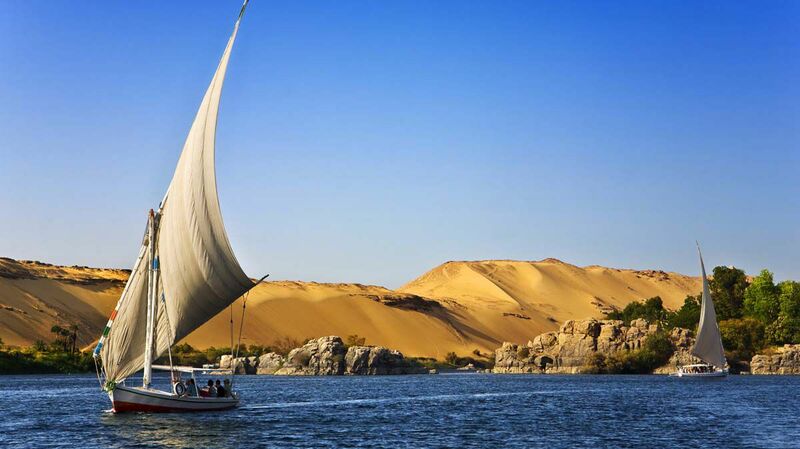 Join us for a full day optional excursion or enjoy a free day for shopping and exploring the sights of Aswan. After an eventful day of sightseeing we enjoy our final overnight stay on the Nile cruise ship. Included meals: breakfast, lunch and dinner with overnight accommodations provided aboard the Nile cruise ship. quarrying will be our first stop today, followed by an optional visit to the Philae Temple. In the evening, we take to the air for a brief flight (included) to Cairo. Included meals: breakfast and lunch with overnight accommodations provided at the Hotel Helnan Dreamland. 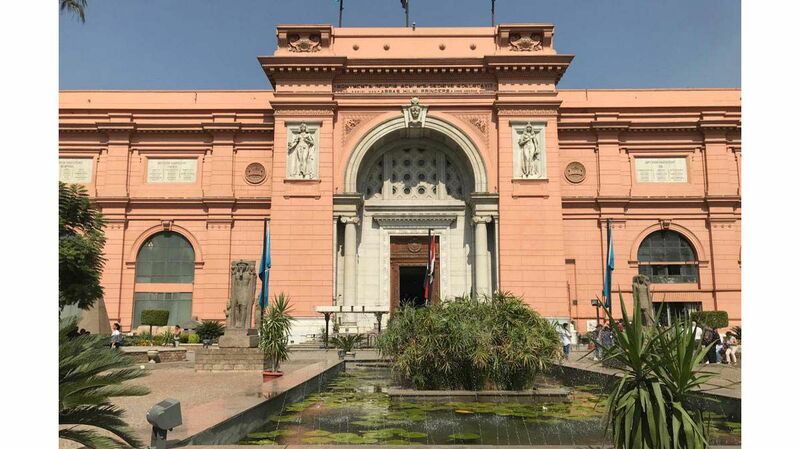 Day 8: Cairo & Egyptian Museum • Following breakfast at the hotel (included) we enjoy a final excursion to the Egyptian Museum in Cairo, which boasts world’s most extensive collection of ancient Egyptian and Pharaonic antiquities. 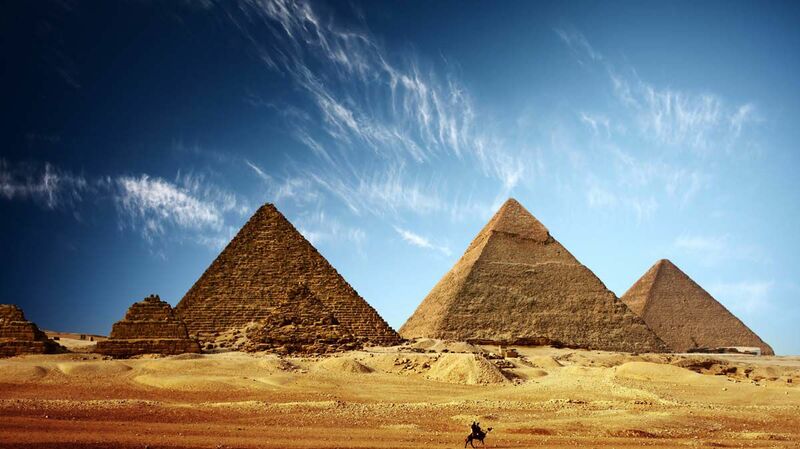 A visit to Egypt simply would not be complete without a trip through this amazing museums galleries and collections. Included meals: breakfast and lunch with overnight accommodations provided at the Hotel Helnan Dreamland. Day 9: Return Trip • After breakfast at the hotel we begin the journey home and return flight from Cairo to Frankfurt. Please note: This trip is not recommended for children under the age of 10 years or people with health conditions that limit mobility or require portable medical devices. Child prices available on request. 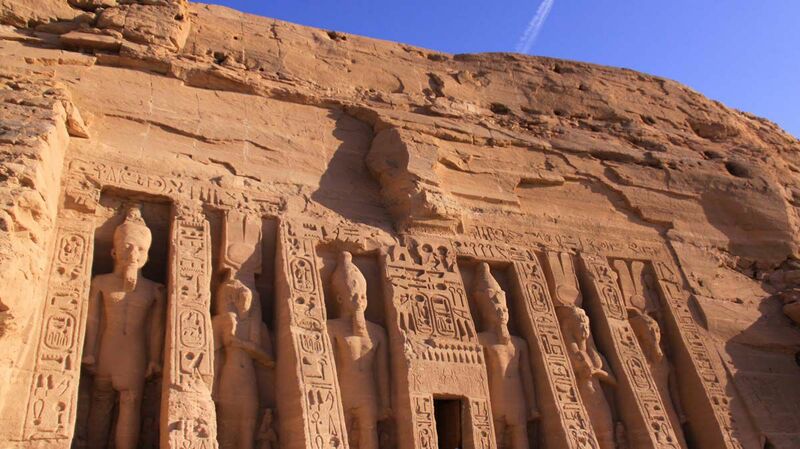 Abu Simbel Excursion By Bus €115 per person (3 hours each way) allows for 120-150 minutes at site. Several packages are available at RTT, click here for more information. All travelers must possess a U.S. tourist passport valid until 6 months after the tour ends, with at least 2 empty visa pages. Citizens of other nationalities must check with the Egyptian embassy about entry requirements. Required visa for U.S. passport holders will be issued upon arrival at the Cairo airport (not included). Active Duty: Please consult the Foreign Clearance Guide prior to booking. This tour is operated by Stern Tours. Operator terms and conditions are accepted upon booking. Days 1 and 9 are considered travel days only. Itinerary is subject to change without prior notice, but will not sacrifice the quality of the tour. Boat sailing may require changing the order of some tour days. The tour requires a lot of walking and personal stamina for long hours of touring. Bring a swimsuit. Pools are available on the ship and at the hotel. Any airline surcharges levied after booking are the responsibility. Full payment is required no later than 44 days prior to the travel date. A 25% deposit per person is required for booking.